Are you passionate about fashion or beauty? If you said YES to ONE of these questions – this job sector may interest you. Careers and jobs under Fashion & Beauty usually require you to work mostly indoors. The world’s has gone mad - spending loads of money on looking and feeling good. That’s great news for this sector. 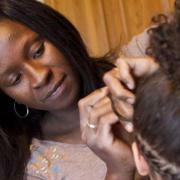 More and more people are going to hairdressers, beauty parlours and therapeutic practitioners. The world of modelling opens many doors but it’s a very competitive industry! You have to be hard-working and dedicated to enter this career. If you want more information about careers in Fashion & Beauty, click on the different sectors on the left (or below) to find different and interesting job descriptions. Why are some people always happy? 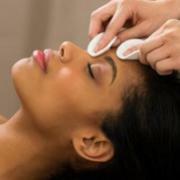 A Beauty Therapist (also known as a Somatogists) specialises in beauty treatments for the face and body. Does the world of Cosmetics, facials, and skin structure fascinate you? 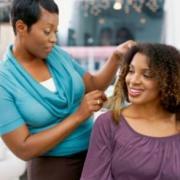 The world of Cosmetology might be what you are looking for. A Day Spa General Manager generally works in a hotel, resort or safari lodge. They are in charge of the daily running of the spa as well as monitoring and managing staff, ordering stock and making sure that the guests/clients are satisfied with their spa treatments. If you have a passion for fashion and a creative eye, then Fashion Design may be the career option you’re looking for. If the idea of fashion and creativity excite you – why not think of becoming a Fashion Editor. Are you artistic? Can you draw? Are you passionate about fashion? If you combine these two loves – a career as a Fashion Illustrator may suit you. Fashion Illustrators create accurate images out of ideas for fashion. Are you a bit of show off? Are you tall and good looking? Do you have a passion for fashion? Do you have a sense of style? If you have said yes to all 4 questions, a job as a Fashion Model might just be what you are looking for! A Fashion Stylist is a person with a keen sense of fashion and style as well as a keen eye for detail. They can work for photographers, designers, private individuals or celebrities. Hair or Beauty Salon Assistants work in a salon an help the haridressers or therapists with their treatments and make sure the salon is clean and tidy at all times. A Make-up Artist works in different fields including applying make-up:( 1) in beauty salons (eg wedding make-up etc) – (2) on movie and television sets (eg celebrities as well as on ‘extras’) – (3) in photographic studios (eg on individuals for portraiture or on fashion models). 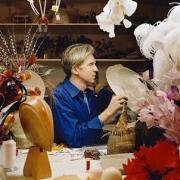 Milliners design and make up hats and headgear for fashion events, social functions, theatre or television productions. Do you enjoy being photographed or showing designer clothes? Are you confident? Then becoming a Model might be the career for you. Reflexology is a Chinese branch of holistic medicine which is based on the principle that every part of the body corresponds to reflexes in the feet and that working on the feet in a specific way can help to heal those parts of the body. A Salon Manager usually has a beauty qualification and has worked in the industry for a few years to get experience before being appointed this position. They are in charge of running the operations of the salon effectively. 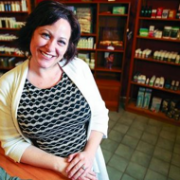 A Skincare Therapist specialises in skincare treatments like derma-abrasion, peeling, botox, lymphatic drainage etc. They may even include various massages, facials, hair removal treatments, pedicures and manicures, eyebrow & lash treatments, tanning, tinting and waxing. 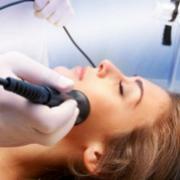 A Somatologist (also known as a Beauty Therapist) – specialises in beauty treatments for the face and body.